As a top rated Calgary real estate agent and resident, I know firsthand the perks of living in this great city. Whether you’re a resident or thinking of having your dream home here, one of the fun things to do here is in Downtown Calgary by the name of Devonian Gardens. 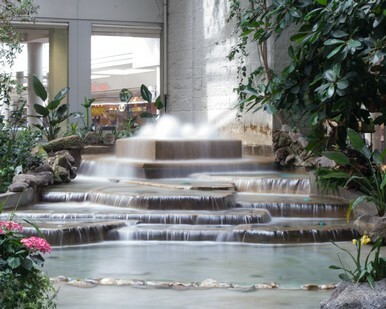 The Devonian Gardens is an indoor attraction sporting a “tropical oasis” and no entrance fee. There are many reasons to go, and no solid reasons not to experience these radiant gardens. First, let me share a little history about Devonian Gardens. J.H. 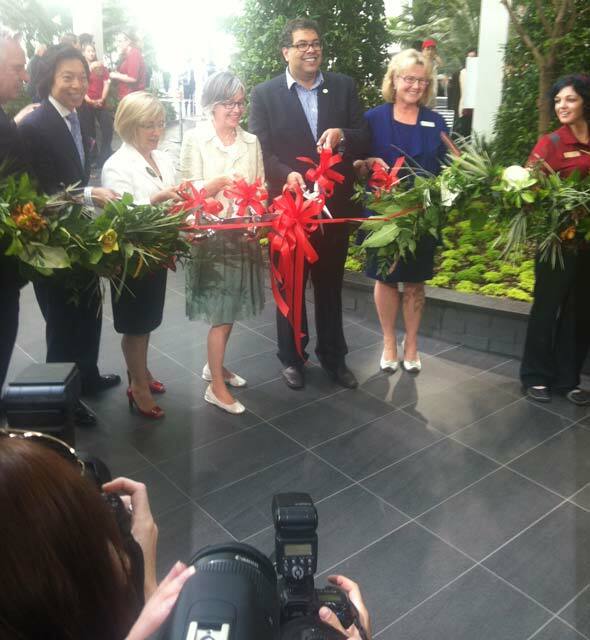 Cook Architects and Engineers created Devonian Gardens who donated it to the City of Calgary by the Devonian Group of Charitable Foundations and Calford Properties. It was completed at a cost of about 9 million dollars and opened in 1977. After many years, city officials knew that the park was in a suffering condition and required upgrades. The gardens were considered to be nearing the end of their usefulness and lifespan as it leaked and had a few other drawbacks because of age and being outdated. The council thought it was appropriate and due time to replace the older plants and structures with newer, better and more innovative material. Renovating the park was quite an undertaking costing a bit more than 4 times its original cost, a whopping 37 million dollars! Though costly, the new infrastructure cut costs required to maintain the park by being energy efficient. Two of the many renovations were installing a continuous skylight and expanding its interior. Just a few years ago on June 27th 2012, the park reopened to the public after its renovation. The final design resembled a horseshoe shape along with having a more modern look. People could once again experience the charms of these gardens and be amazed by the upgrades. The park offers a variety of compelling features such as drop-in programs which currently feature “Fancy Fish” which you can learn some fascinating fishy facts, “Plant Power" where you’ll learn what makes plants special and the care they need to grow in the park and “The Secret Lives of Ladybugs” where you’ll learn about the secret lives of ladybugs and make ladybug crafts to take home. Devonian Gardens exhibits a wide selection of more than 10,000 shrubs and a multitude of trees including over 550 individual tropical palm trees and 18 other species of trees. There are also ponds and other water scenery with fish, and an abundance of seating to fully sit, relax and take in the beauty of this environment. Have young ones around? Well Devonian Gardens is a delight for children. It has a playground to romp, play and enjoy. All of these and more unique features make this park a wonderful place for a variety of activities suitable for each and every person of any age. Outside of Calgary there is a garden with a similar name. 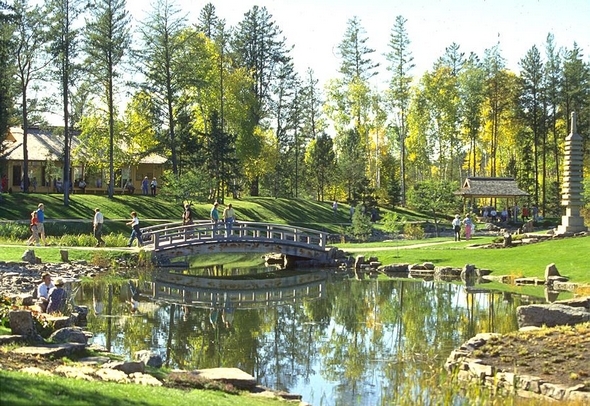 The Devonian Botanic Garden was established in1959, and is a separate attraction located a short distance outside of Calgary, but nevertheless a wonderful park to enjoy the beauty of nature. 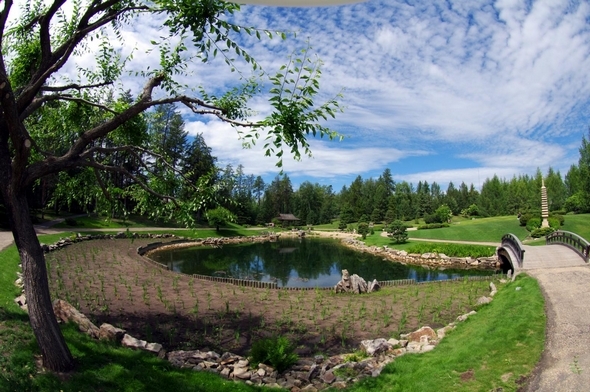 With 190 glorious acres The University ofAlberta Devonian Botanic Garden is a haven for various displays of gardens and ecological preserves in a place where nature flourishes in every corner. It also features indoor showhouses and an extensive nature trail which winds through the plant collections and various gardens. 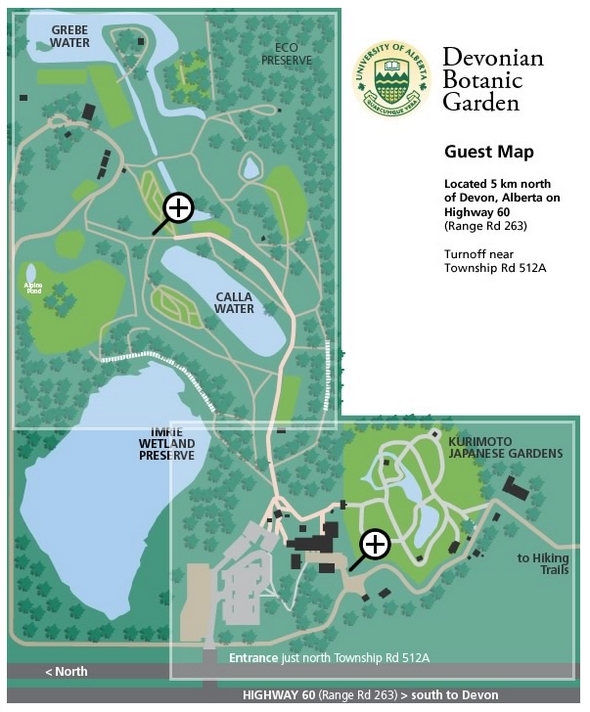 The Devonian Botanic Garden offers a lot of similar activities as do Devonian Gardens, such as adult and children's education programs, a research site and an award-winning visitor attraction. Due to the garden's association with the University, a lot of research is conducted on its premises. Staff conduct tests and research which is done in certain places in the park. Areas such as plant conservation, biodiversity and bryophyte ecology are studied. 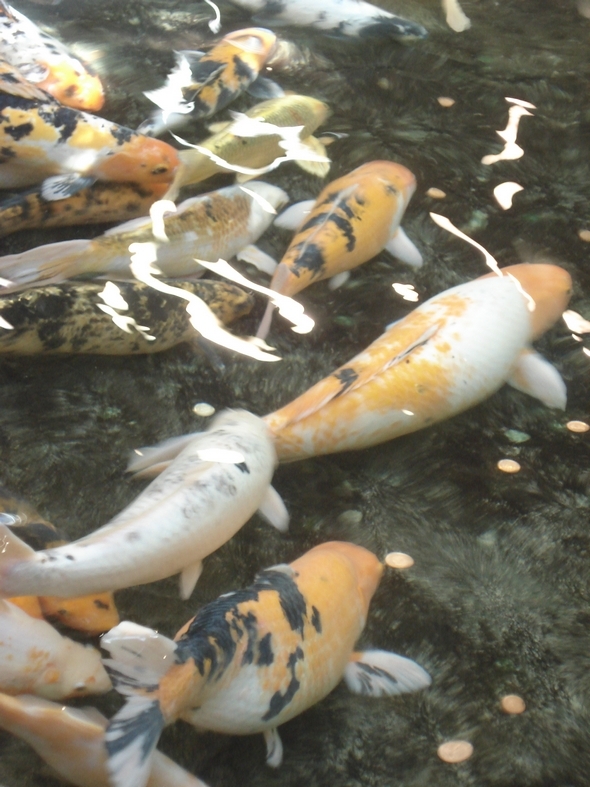 Some of the garden's most remarkable exhibits include a Tropical Show House with butterflies, the Kurimoto Japanese Garden, the NativePeople's Gardens, as well as an herb garden and various other gardens featuring lilac, lily peony and rose collections. This is only a selection of paradise-inspired characteristics which The Devonian Botanic Garden has to offer. The park also has guided tours, a Crafters Workshop with handmade gifts, an outdoor patio concession and a gift shop to fill your Calgary house with memories. At The Devonian Botanic Garden there is something for all ages. After all, beauty is a concept which every person can appreciate. The garden also hosts special events, such as Luminaria, the Fall Family Festival, Canada Day Celebrations, Butterfly Day, the Japanese Spring Festival and others. No matter what you are looking for related to nature, The Botanic Garden is a sanctuary of natural elegance and wonder. “I photographed a wedding here this fall and despite living in the area for ten years, it was my first time checking it out. Devonian Gardens and the Devonian Botanic Garden are two attractions with similar names both offering the beauty of nature. 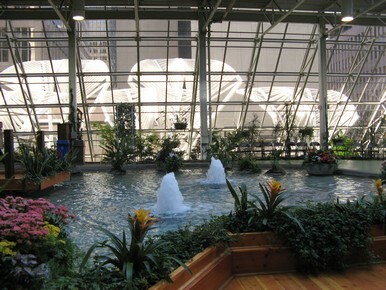 If you are living in Calgary, then going to the Devonian Gardens is your closest option to enjoy a relaxing free indoor public park. As a resident of Calgary you are missing out on this utopia if you don’t visit. 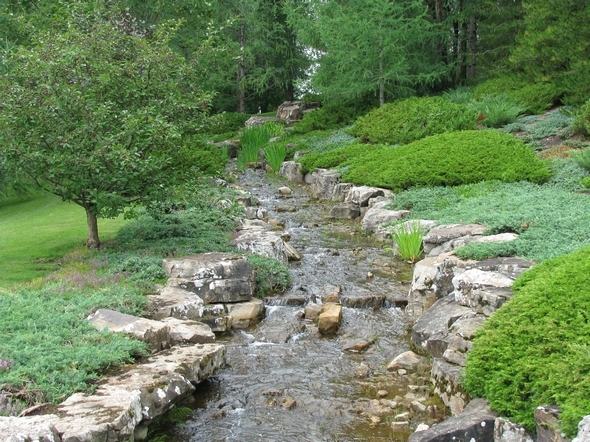 Though outside of Calgary, The Devonian Botanic Garden is an exceptional visit. This park refuses to disappoint with the range of natural exquisiteness is has to offer. Have you been to Devonian Gardens or the Devonian Botanic Garden? Feel free to share your experience below. Not a resident and looking to live and enjoy fun things to do in Calgary? Please view the latest listings of Calgary homes for sale in addition to the Calgary MLS. I also have Calgary real estate listings as video, giving you a virtual walkthrough of homes for sale. 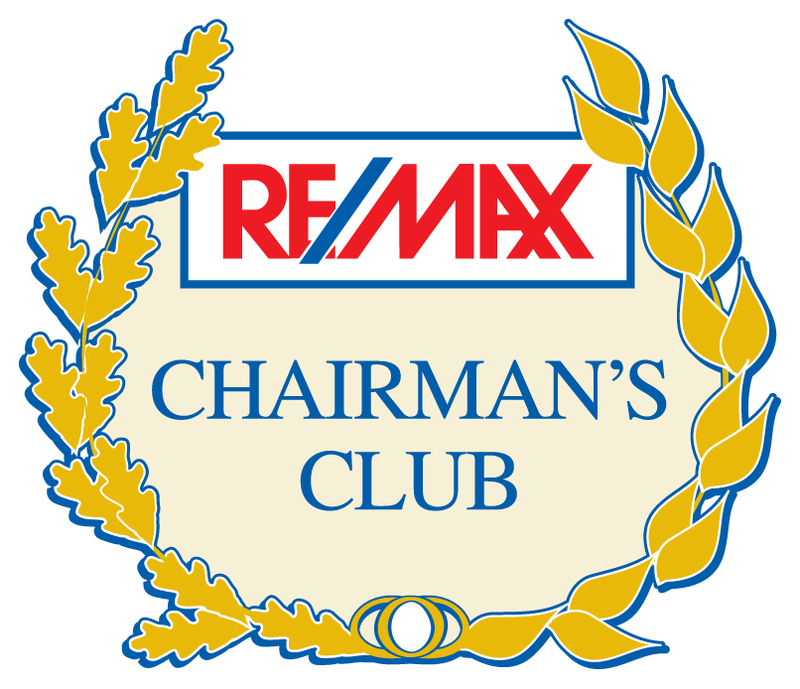 As an award winning Calgary real estate agent, I’m here to help you find your dream home in Calgary and make you happy. 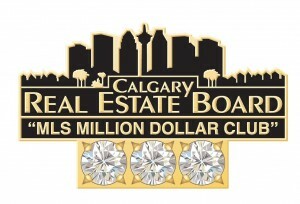 As seen in my Calgary Real Estate Housing Statistics November 2014 edition, the Calgary Real Estate market is the place to be with the strongest economy in the country, great job growth and ample opportunities.